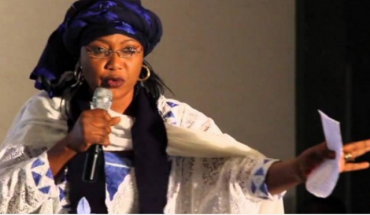 Najatu Muhammad have become the first Nigerian to reject appointment from president Buhari. Re: Federal Ministry of Education.Reconstitution of the Governing Councils of 12 federal Universities. I, Najatu Muhammad wishes to thank you so much for considering me worthy of being appointed the chairperson of Dutse Federal University. It’s however, unfortunate that I was not consulted before the announcement in the media. I also regret that I have to use the same medium to announce that I can’t accept the appointment for some personal reasons. I will however, remain an ardent supporter of President Buhari in his effort in charting a new course for this country. A course that we pray will put this country back on the path of progress. I will also continue to support the president’s fight against corruption and other ills of this country. My unflinching support for the President will remain for Allah’s sake and country. I pray that Allah will continue to guide and protect our President.